Based on reviews from 75 experts and 1,111 users. Learn how our rankings work or see our guide to La Sportiva trail running shoes. Updated Apr 2019. La Sportiva found its home in a village-on-a-mountain that’s part of the Italian Dolomites. Because it is placed in an environment that is filled with the potential for off-road adventures and sports, it was able to devise many products that are meant for such activities. The branching off started with products for skiing, but eventually, other endeavors were also included like mountain climbing and trail running. 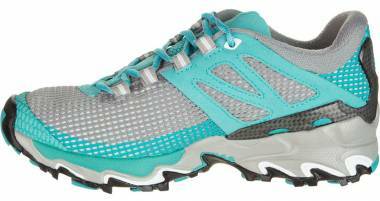 The branching out led to the La Sportiva trail running shoes for women and women. The unpredictable terrains have always been the focus of La Sportiva, even during its inception in 1928. Founder Narciso Delladio initially sold custom-made boots for lumberjacks and farmers but quickly expanded to the realm of sports, finally birthing a manufacturing company with the name shortly following it. La Sportiva’s expertise when it comes to the trails is hard to dispute. They strive for quality and longevity. They only have one creation hub in the mountain village of Ziano di Fiemme and their entire line of products (even the shoes) is handcrafted. It’s nearly a century later, yet the company still follows Narciso Delladio’s footsteps, never losing sight of quality and never letting go of the handcrafted beginnings that ultimately made La Sportiva a force unto its own. 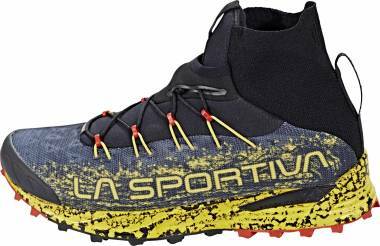 Protective and traction-ready outsole – All of the La Sportiva trail running shoes make use of outsoles that are highly aggressive and ready for the off-road paths. The layers of rubber are designed to withstand surface contact and the sharpness of the trail debris. The gripping lugs are also optimized for the trails as they’re prominent and angled in multiple directions. While shoes like the La Sportiva Akyra and the Mutant have cleats jutting downward from the external pad, the Ultra Raptor’s set of rubber protrusions are curved like a bird of prey’s claws. These outsole configurations offer multidirectional grip and support when tackling irregular topography. 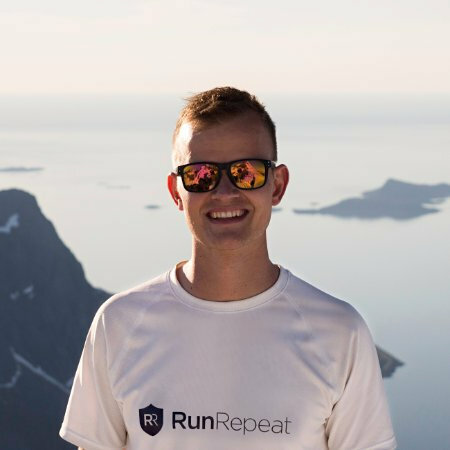 Shock-absorbing midsole – It is essential for a running shoe to feature a platform that is able to protect the foot from the impact energy that each footfall generates. 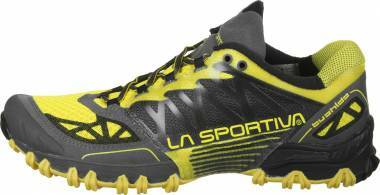 La Sportiva equips its range of trail runners with midsoles that are sturdy and able to attenuate the shock during the foot-strike. Usually, the cushioning unit has a liquefied beginning that’s injected into a mold then formed and cooled into the final piece. The process of injection molding reduces any material wastage and air bubbles, thus resulting in an end-product that is appropriately shaped. 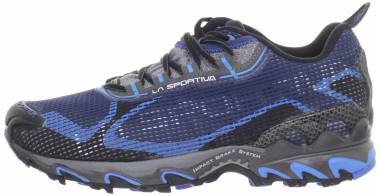 The La Sportiva Unika and the Lycan are two shoes with decent amounts of cushioning. The concept of a midsole that can properly mitigate the impact forces generated with each step was inspired by running shoes that are for the roads. 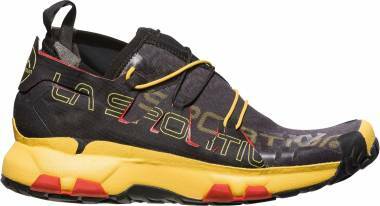 Breathable yet shield-like upper – La Sportiva doesn’t settle for an upper unit that is minimal or devoid of protective features. The company furnishes its shoes with façades that are able to secure the foot and keep it safe from the elements. Rocks, in particular, are highly abrasive, so the creative minds of the company fill the uppers with a mix of printed and stitched-on overlays. The forefoot even has a barrier or a bumper that guards against anything that might hit the toes. Also, breathability is still retained because of the use of open-weave mesh. 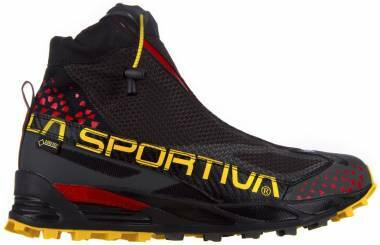 Examples of breathable La Sportiva trail running shoes are the La Sportiva Akasha and the Bushido. 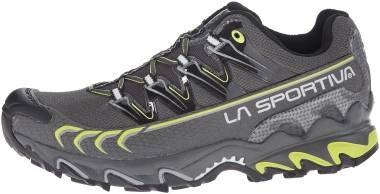 Is there any difference between the men’s La Sportiva trail running shoes and the women’s? Although all of La Sportiva’s shoes are made by hand, they have adhered to industry standards when it comes to the fit and sizing. The women’s iterations of their footwear are specially crafted to accommodate less foot-volume. The heel is snug while the forefoot is broad (to encourage better security and natural toe-splay). But the midfoot is narrow, as well, as it’s a means of further locking the foot in place. The low-cut collar is actually lower than that of the men’s version; it’s a configuration that caters to low foot dimensions. 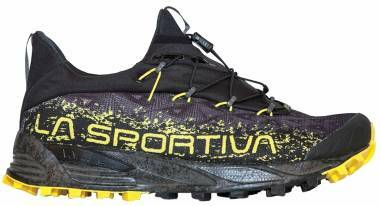 A majority of trail running shoes from La Sportiva (or any company) are also configured for neutral pronators, which means that the platform is well-cushioned yet very flexible and evenly molded. There are no stability mechanisms or any pronation-correction modules. How can I preserve the form and quality of my La Sportiva trail shoes? The first thing that you should remember when it comes to your pair of La Sportiva shoes is to keep them clean, especially when you’re not using them. You should never allow dirt or grime to get stuck in the various parts. If you can, you should clean your shoes every after each activity to prevent the hardening of mud or the congealing of stains. Various outdoor elements can destroy the structural integrity of the fabrics, so keep them off your footwear. Also, when washing your foot-apparel, use only a mild detergent soap, cold water and your hands (a soft brush may help with areas that need extra scrubbing). Never spin-wash your shoes as it can damage either the products or your washing machine. The drying process only involves outdoor air. Don’t expose your shoes to direct sunlight because doing so would inevitably warp the plastics and the foam, potentially shrinking them to the point of not fitting well afterward.